No one, it's fair to say, was better equipped to adapt The Grinch into a 3D animated film than Illumination CEO Chris Meledandri. Not only had he successfully adapted two other Seuss books into feature films - 2008's Horton Hears a Who! and 2012's The Lorax - but his company, Illumination, has dominated the world of animation for more than a decade with sweet and subversive characters and unexpected stories, including The Secret Life of Pets, Sing, and most notably Gru and his Minions in the Despicable Me franchise, which has grossed more than $3.7 billion worldwide. Meledandri can trace his attraction to delightfully flawed characters back to the Grinch. "From a very early age I found myself attracted to characters that had a wicked side to them, especially characters that you enjoyed watching be wicked, but I also like seeing their redemption," Meledandri says. "In a lot of Illumination films, there's definitely a recurring theme of characters who have a real edge or a bite to them. So How The Grinch Stole Christmas! was formative for me. I grew up in a household where Dr. Seuss books were plentiful." The decision to make The Grinch into a feature film seemed an organic one for Meledandri. At the emotional center of that intention was a question they decided to explore: How did the Grinch become the way he his? "That became very organic, to our minds," Meledandri says. "At the core of this story is a character who was emotionally wounded as a child. He has placed himself on a quest to eliminate the joy of others because he himself has been left out of feeling that joy. The manifestation of that emotional pain is a character who has gone into seclusion, who has given up on the society around him. And it takes the most innocent and optimistic character imaginable - in this case, Cindy-Lou Who - to reengage him to life, to an openness to connecting with other characters, to believing in good." The result, Meledandri says, is a film with a message that touches the heart and resonates long after people leave the theater. "As I've watched the film as we've been making it, I really love this hopeful feeling that the movie leaves you with. And getting to this place means that the character has transcended many of the things that have held him back: this desire to protect himself from feeling hurt, from being rejected. He actually wrecks this wall of meanness that he's erected." Meanwhile, down in Who-ville, Cindy-Lou Who - a young girl overflowing with holiday cheer - plots with her gang of friends to trap Santa Claus as he makes his Christmas Eve rounds so that she can thank him for help for her overworked single mother. As Christmas approaches, however, her good-natured scheming threatens to collide with the Grinch’s more nefarious one. Will Cindy-Lou achieve her goal of finally meeting Santa Claus? 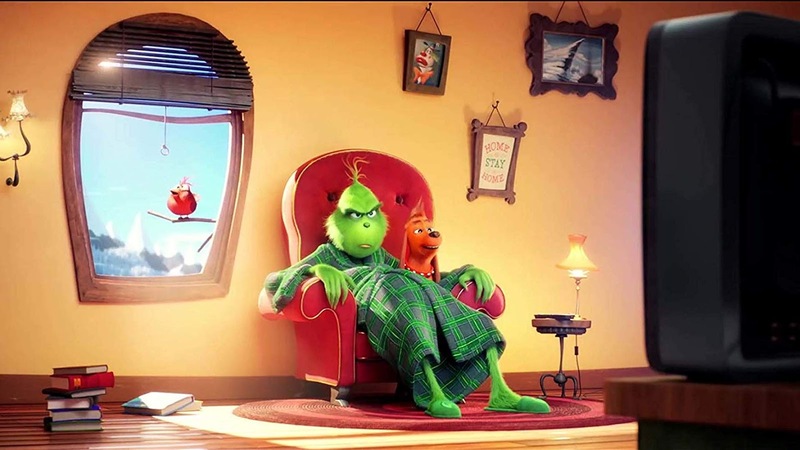 Will the Grinch succeed in silencing the Whos’ holiday cheer once and for all?